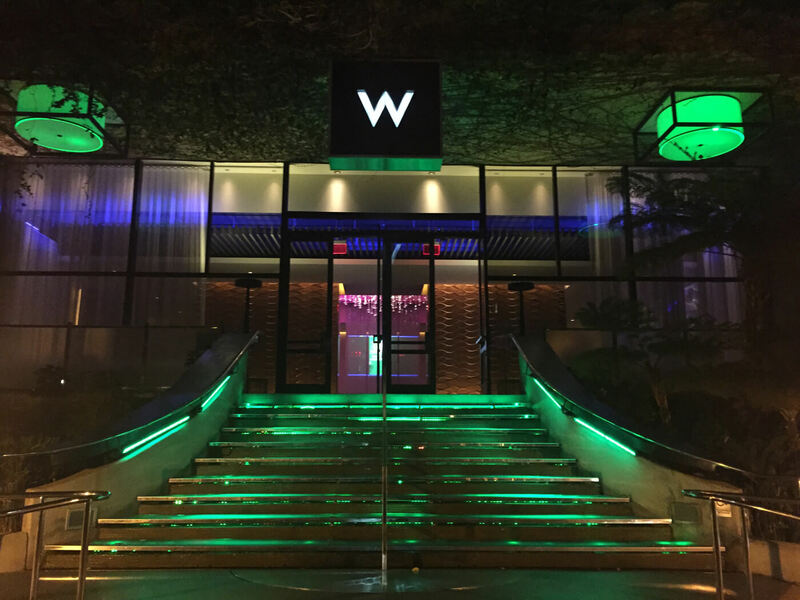 W Los Angeles West Beverly Hills Is proud to present multi-modalix artist and curator Krie Alden as W’s Welcome Delight and Artist in Residence throughout the month of October. All of her work on display was created for W Los Angeles West Beverly Hills and will be on display in an interactive exhibit culminating with a live performance on October 29th in The Oasis. To schedule a time to meet with the artist, to purchase her work, or discuss a commissioned piece of art with her call or email Alden at 1.800.880.1519 or ka@KrieArt.com. All of Alden’s works of art, either here, on her website, or at W Los Angeles West Beverly Hills, can be purchased for fifteen percent less than it’s original purchase price throughout the month of October as W’s Welcome Delight and Artist in Residence. To be part of the on-line show click here. Art Monaco ‘15 is proud to present based multi-disciplinary artist and curator, Krie Alden. Alden is an American-born visual artist, singer-songwriter, and poet. She voraciously explores new methods of creation, with an established artistic vocabulary which includes paintings, combines, found objects, video installations, photography and performance art. Her vast and prolific collection of work is both visual and auditory and often merges the unique elements of abstraction, calligraphy, punk, graffiti, and fine art. Her work has been seen alongside Jeff Koons, Miro, Ricky Powell, and ESPO. Spectrum Miami is proud to present multi-disciplinary artist and curator, Krie Alden in the second iteration of her interactive exhibit Untitled: What You and See or What Do You See. In the current, millennial culture of instant two-way dialogue, artist Krie Alden invites the viewer to tear down the walls of the traditional art experience and contribute to the process of titling and describing her artwork in realtime based on what each person sees, hears, and feels as they move through the space—the opposite of any museum or show where the viewer is a given a headset and told what everything means and why. As viewers continue to build collaborative meaning throughout the exhibit, artist Krie Alden will repurpose the space accordingly and create new work. 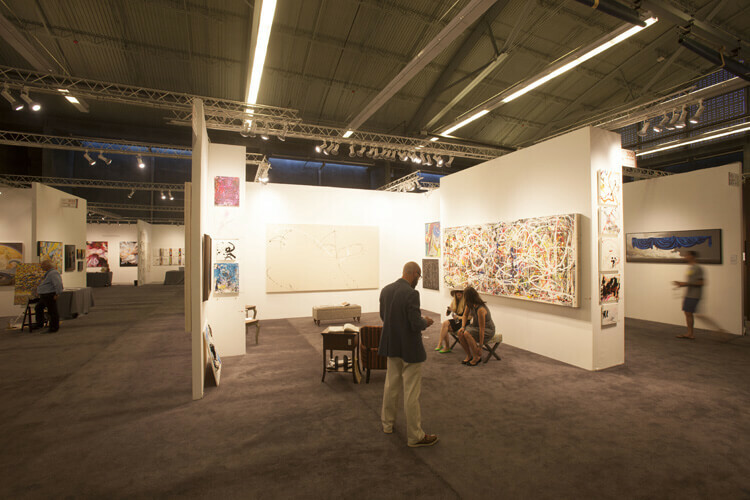 The art “experience” becomes shared, collaborative, and participatory. The work itself and the experience change as a result of the on going dialogue between art viewer and artist until an entirely new dialogue and body of work is manifested in various forms. The works on display will include differing styles and mediums of abstract art. So come, take a gander, and tag some sh*t (literally and virtually)! The pieces will be for sale, so if something speaks to you, don’t let it get away (especially after you tag that sh*t)! Art San Diego is proud to present based multi-disciplinary artist and curator, Krie Alden. Her last exhibit Untitled: What You See or What Do You See as a part of Philadelphia Fringe Arts focused on the relationship between art and the viewer’s perspective, specifically challenging the traditional experience between viewer and artist. Alden looks forward to sharing her work with and continuing the dialogue between artist and viewer in a more ‘traditional’ but equally dynamic setting. Krie Alden is an American-born visual artist, singer-songwriter, and poet. She voraciously explores new methods of creation, with an established artistic vocabulary which includes paintings, combines, found objects, video installations, photography and performance art. Her vast and prolific collection of work is both visual and auditory and often merges the unique elements of abstraction, calligraphy, punk, graffiti, and fine art. Her work has been seen alongside Jeff Koons, Miro, Ricky Powell, and ESPO. ART SAN DIEGO is pleased to announce its partnership once again with UBS Financial Services as its presenting sponsor. UBS has a longstanding commitment to contemporary art through their sponsorship programs and the UBS Art Collection, and a strong commitment to supporting art and culture in the San Diego community. which is why Alden couldn’t be a better fit! Aiming to itself as a key actor in this production, nurturing and strengthening San Diego’s art scene with a dynamic agenda, Alden couldn’t be more proud to be part of such a visionary and talented program, and if you miss her here be sure to catch up her at Spectrum Miami; as she looks forward to sharing her work and interacting with yet another inspired audience. FringeArts Philadelphia is proud to present New York based multi-disciplinary artist and curator, Krie Alden in her exhibit Untitled: What You See or What Do You See. This interactive exhibit focuses on the relationship between art and the viewer’s perspective, specifically challenging the traditional experience between viewer and artist. VIP Opening Friday September 5, 2014 from 6–9pm, RSVP required. Official opening Saturday September 6 from 1 – 8 pm, no RSVP required at the Da Vinci Art Alliance, 704 Catherine Street, Philadelphia, and runs through September 21st 2014. FringeArts (formerly Philadelphia Live Arts Festival & Philly Fringe) exists to commission, develop and present a range of high-quality contemporary performing and visual arts. Every September the Fringe Festival features boundary-breaking work created by some of the most renowned contemporary artists from our region and around the world, and serves as a collective home for artists to bring their artistic visions to audiences without any curatorial barriers. The community is enriched as art takes over neighborhoods, animating the spaces of Philadelphia from traditional theaters to corner bars and vacant storefronts. In this instance, Untitled: What You See, or What Do You See, the traditional relationship between viewer and art, making the art itself a vehicle for an entirely new experience and work(s) of art, come be part of the journey.